GVEC will be performing maintenance overnight tonight (April 18) that may cause short, intermittent outages to some internet customers. Outages are not expected to last more than 20 minutes at a time. Thank you for your patience. FAST. RELIABLE. LOCAL. FOR YOUR HOME. FAST. RELIABLE. LOCAL. FOR YOUR BUSINESS. We’re Experts in Local Service. GVEC.net is a local Internet provider and a company you can trust. We’re part of the Guadalupe Valley Electric Cooperative, one of the largest and most progressive electric cooperatives in Texas specializing in delivering products and services that fulfill the needs of thousands of families and businesses relying on us every day. 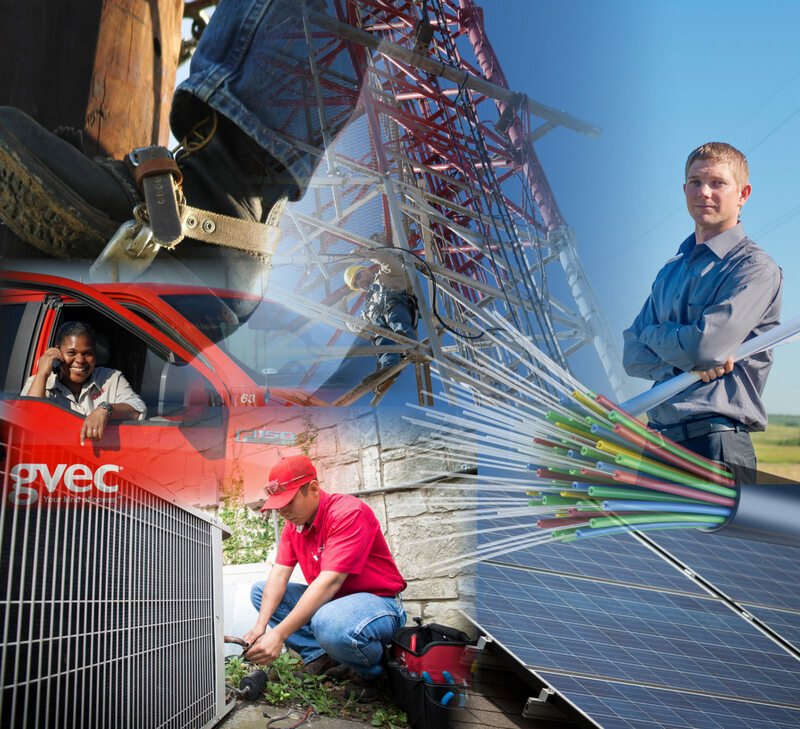 Whether it’s high-speed Wireless and Fiber Internet, dependable electricity or AC/Heating sales and service, solar options and electrician services offered through GVEC Home. Established in 1938, GVEC is dedicated to our mission of investing in products and services to meet the needs – and hopefully exceed – the expectations of GVEC members and customers alike. We’ve come a long way since 1998 when GVEC.net was the first to bring affordable Internet service to members and customers living in our rural area. Since then, we have extended our reach and expanded our service to offer a variety of monthly, high-speed wireless plans to meet all needs and budgets. From web surfing and email to working from home, streaming videos and gaming, no matter which plan you have, you get unlimited data at no extra cost. In some areas, we offer Fiber Internet which is the fastest, most reliable Internet available in the world. That’s because service runs through a fiber optic cable which offers greater bandwidth to deliver large amounts of data. So, you can do everything online, faster and better. As with all of our plans, you can work and play online as much as you want with no extra data fees. If you need more information or are ready to sign up for one of our plans, fill out our form and we’ll get back with you. Or, call us at 800.699.4832. Run a speed test, get step-by-step troubleshooting tips or contact us for 24/7 technical support. GVEC.net has the technology, experience and customer service to bring Fiber connectivity to rural schools and libraries eligible for the federal government’s E-rate program. Find out how we can help you get the most value for your money. GVEC.net is an employer with purpose. We’re not just here to do a job, but to also make a difference in people’s lives. If you’re looking for a unique place that combines small town values with big time vision, this may be the team for you.